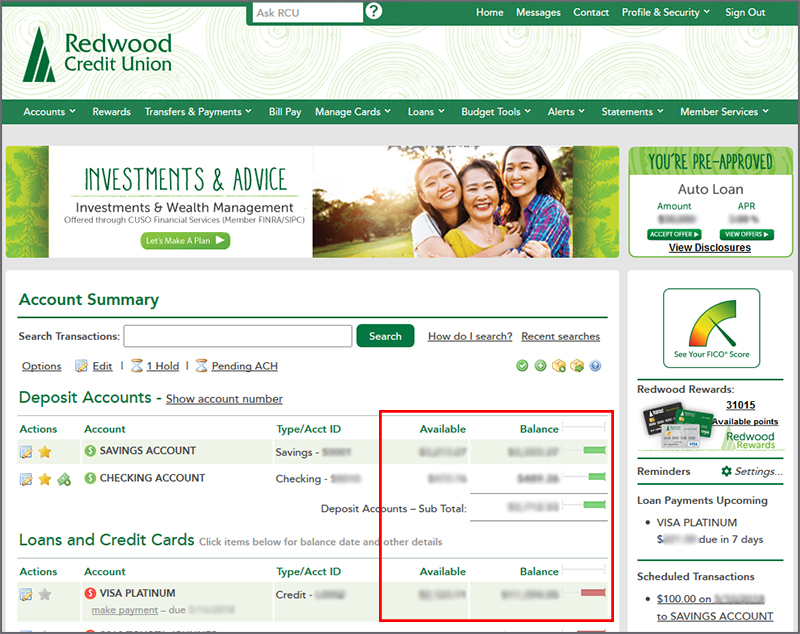 You can check your account balance, recent deposits (including direct deposits of paychecks), debits, ATM withdrawals and other transactions at anytime through RCU Online banking. Login to RCU Online banking or, if you have never used RCU Online before, sign up for online banking. 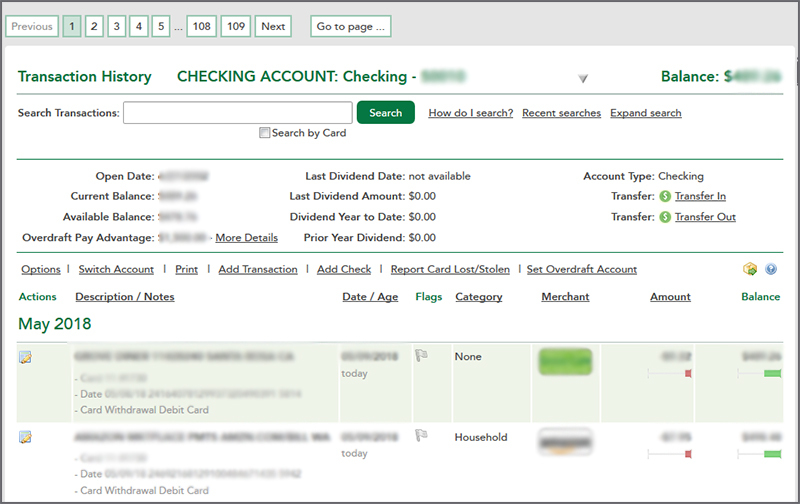 Once logged in, you can view the available balance and current balance of your accounts on the Account Summary. 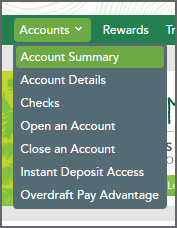 You can also navigate to the Account Summary on the top menu under Accounts. To view the individual account details, click on the account to view the Transaction History. You can also check your balance through our Telephone Teller service by calling (707) 576-5000 (local) or 1 (800) RCU-4030 (toll free within the US). Why is my available balance different from my actual balance? Where can I find pending transactions in RCU Online Banking?